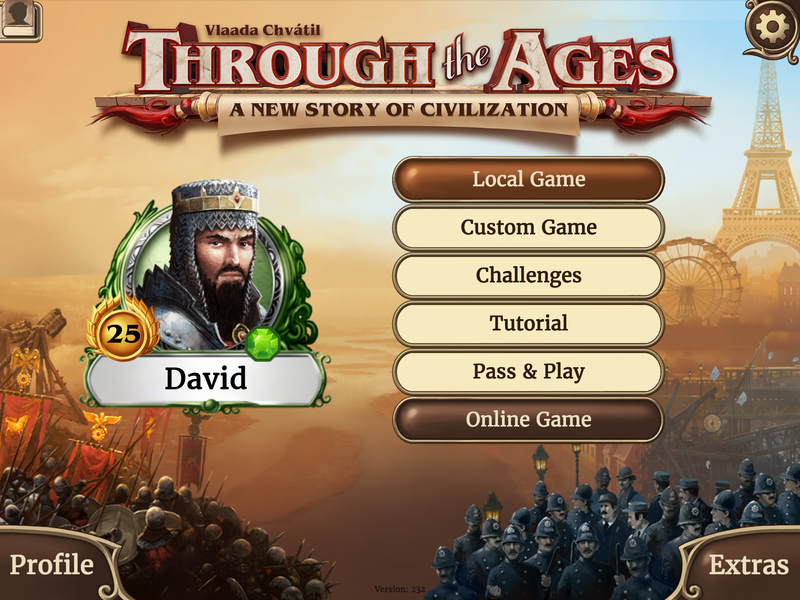 The Through the Ages digital app is an implementation of the legendary civilization building board game of the same name, by Vlaada Chvátil. The digital game for mobile devices was released in September 2017, after having been highly anticipated and polished to perfection. It was received very well and still has high ratings by players, reviewers and mobile gaming media and has already been receiving awards. The Steam platform release is planned for March 26th 2018. 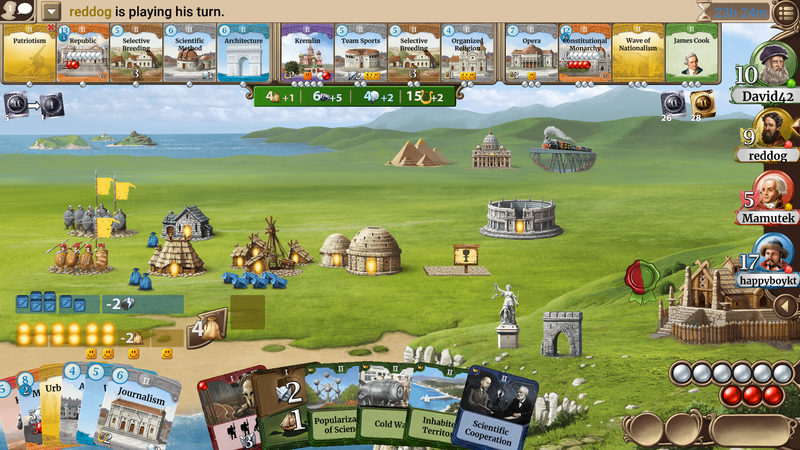 The board game, Through the Ages: A Story of Civilization (2006), was updated with a new edition in 2015 (Through the Ages: A New Story of Civilization) that is now rated the third best strategy board game of all time on boardgamegeek.com. 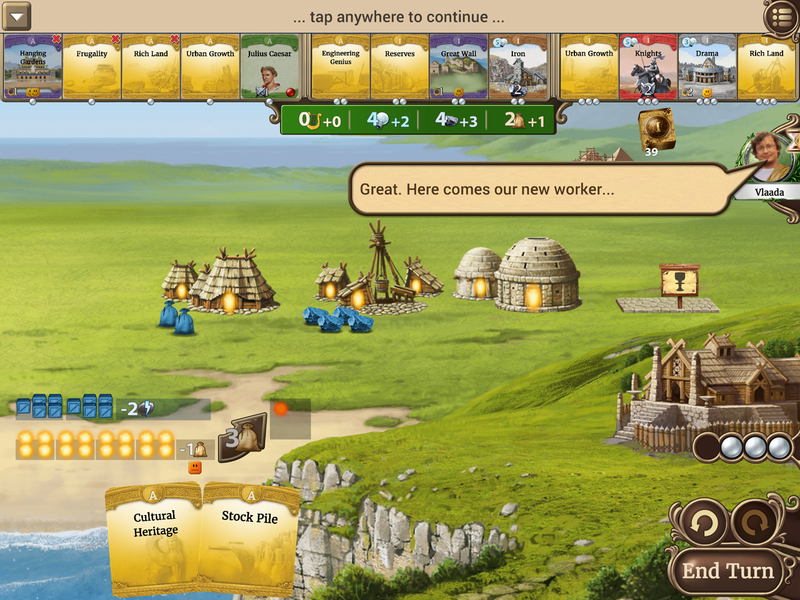 Through the Ages gained popularity with players thanks to a closely aligned micromanagement mechanism with a theme. 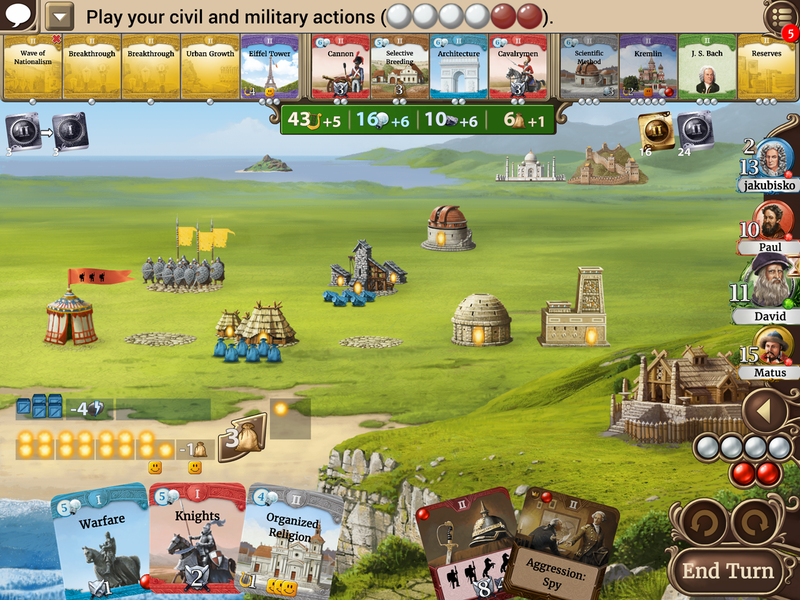 Each of up to four players attempts to build the best civilization through careful resource management while discovering new technologies, electing the right leaders, building wonders and maintaining a strong military. Weakness in any area can be a strength to your opponents. 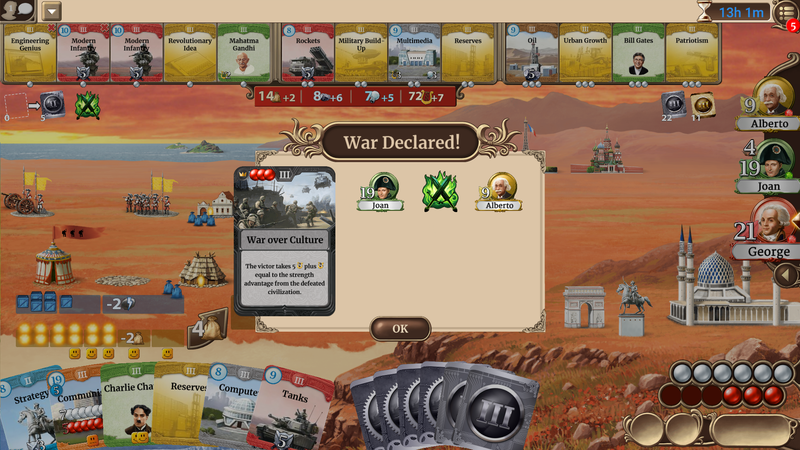 The game takes place throughout the ages beginning in the age of antiquity and ending in the modern age. 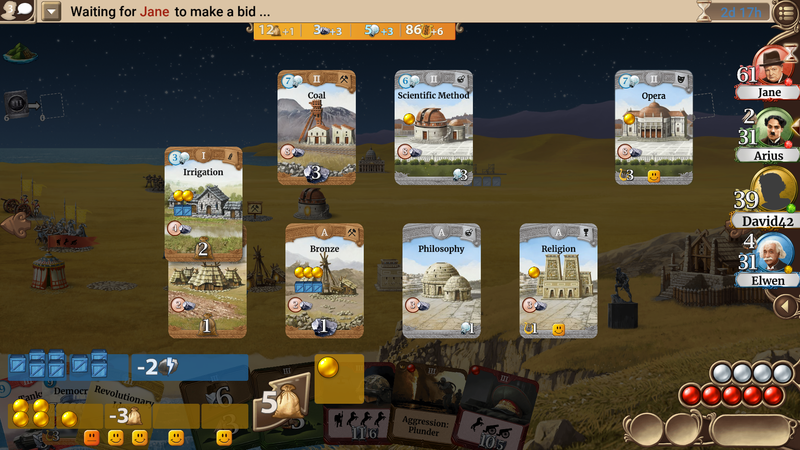 Drafting cards to build a mighty civilization. Leading your civilization from pyramids to space flight. Exploring the many paths to victory! Hundreds of card combinations providing endless replayability. 3 levels of AI opponents for solo play. Ability to play with a friend online or on the same device. Original board game rules or a streamlined digital version. A dozen challenges requiring different strategies. 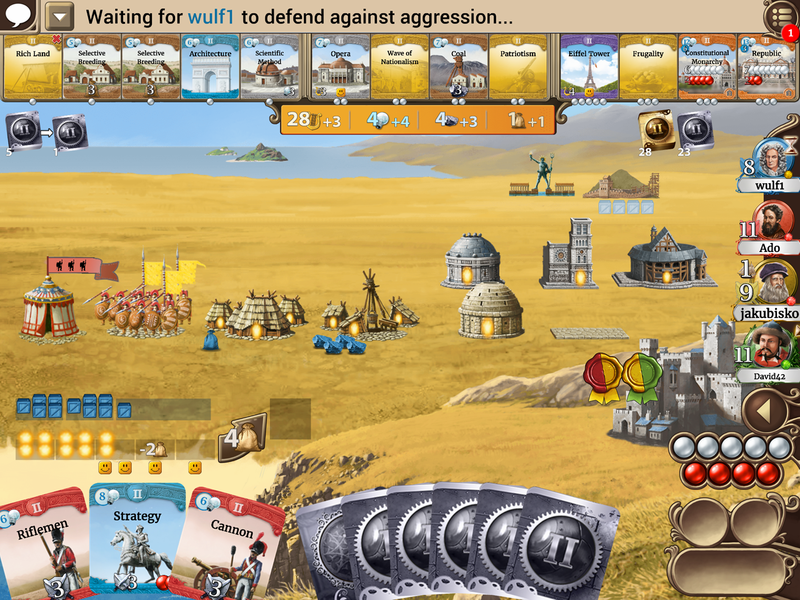 It’s one of the best board game apps I’ve ever played. Maybe THE best, and is the only one I can think of where playing the AI is just as much fun as playing against other people. 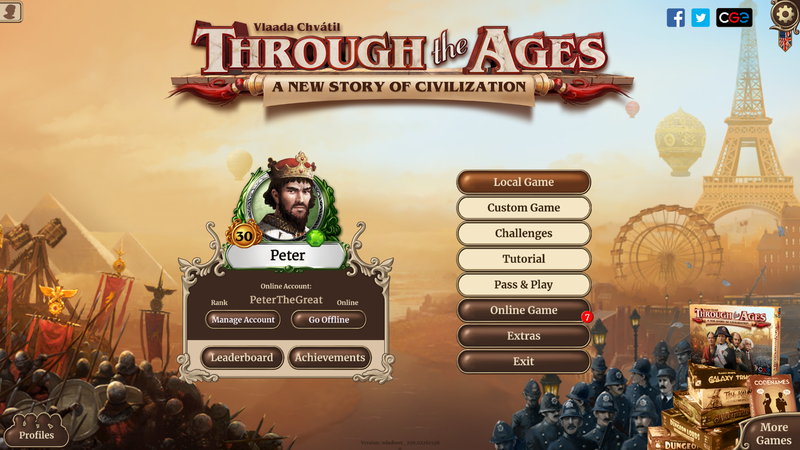 Through the Ages has the most entertaining tutorial yet seen in mobile gaming. Through the Ages helped rejuvenate me with the pure, fierce joy of play that only very best titles can deliver. 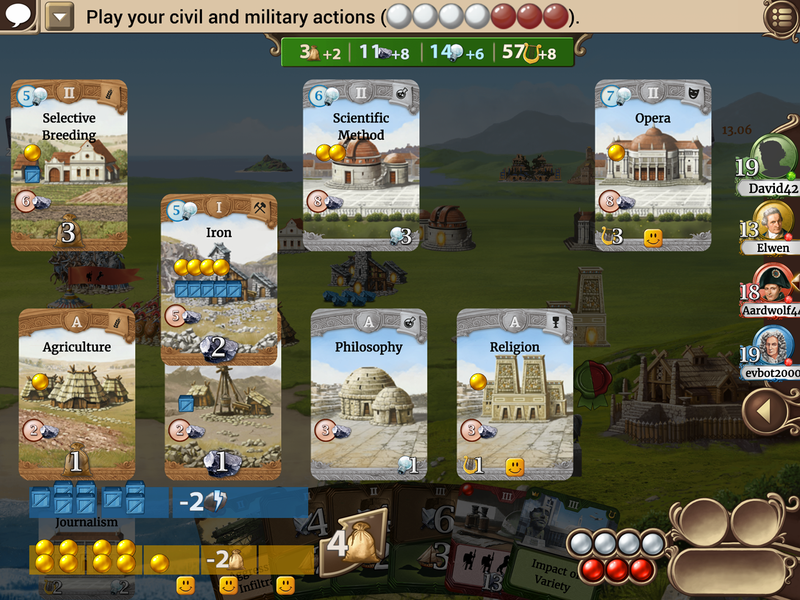 I cannot recommend the Through the Ages App enough. This is a great game and being able to play it alone in about an hour makes this app worth the price. Yep. 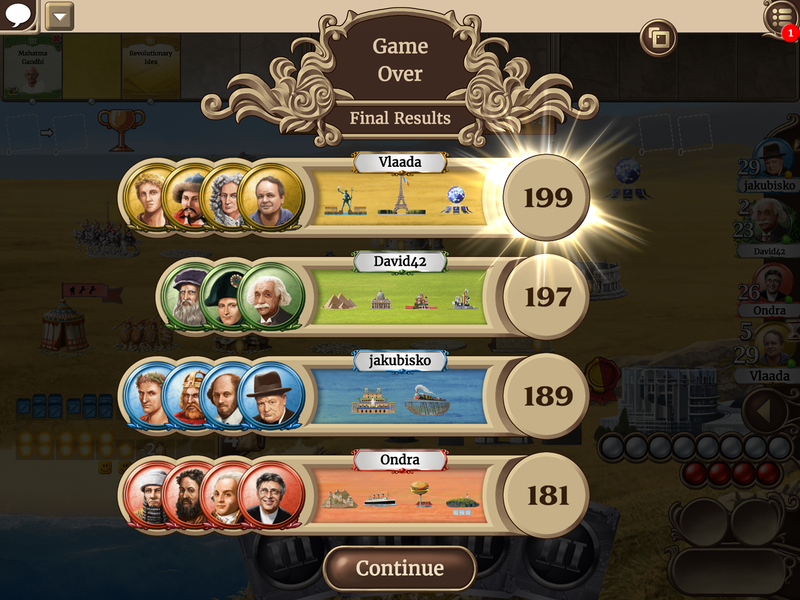 It’s Through The Ages on iOS, and they nailed it. 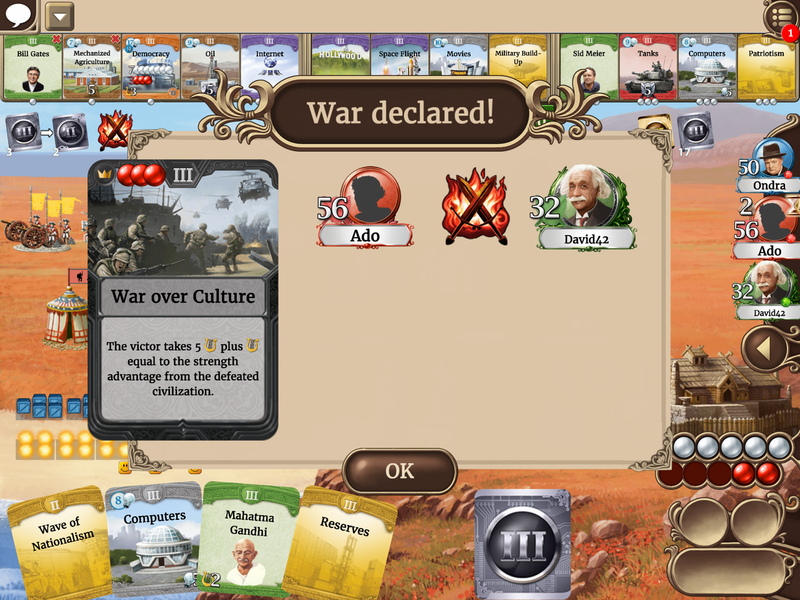 It is deserving of a permanent place on the boardgame screen of your device. CGE have done a great job with this implementation. 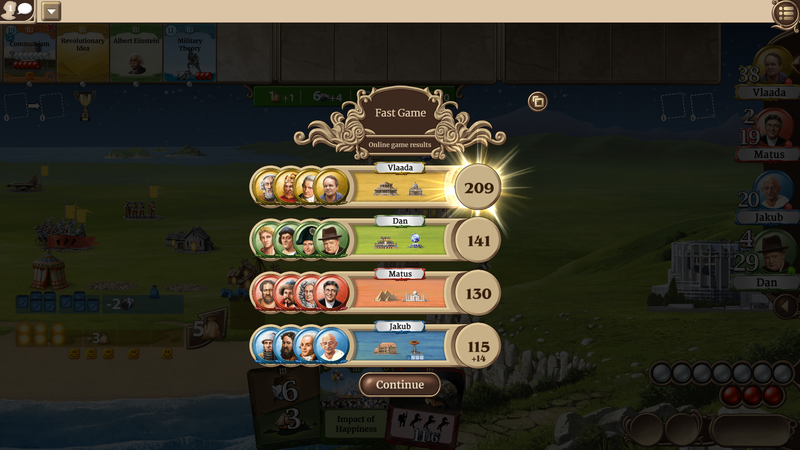 Through the Ages is a heavy game and they really have done an amazing job of simplifying it and creating an elegant app.